On Havana Street and the city of Aurora’s Art in Public Places program are proud to partner to bring the 8th Annual Art 2C on Havana sculpture exhibit and competition. Thirteen sculptures will be exhibited in the Business District, which is spread along Havana Street from East First Avenue to East Yale Avenue. 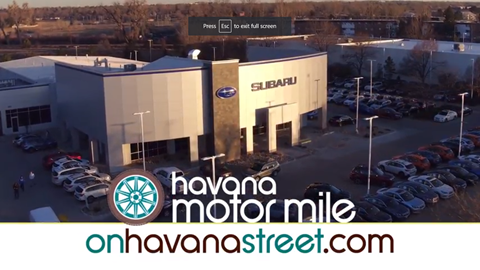 We welcome you to join us On Havana Street to reveal the 13 new sculptures for 2019-2020 and announce the 1st, 2nd and 3rd place winners. We will be hosting our ART 2C event at the NEW North Subaru Showroom of Schomp Subaru on Thursday, November 14, 2019 from 5:30pm to 7pm. We will host a selection of tapas from Colorado Catering Company, hosted beer and wine, Chocolate covered strawberries & Bakalava dessert.